[Tuesday, 9/18/2018] An anonymous user on popular paranormal image board /x/ recently posted links to a few astonishing pictures found in the archive section of https://mars.jpl.nasa.gov, an official United States government website. 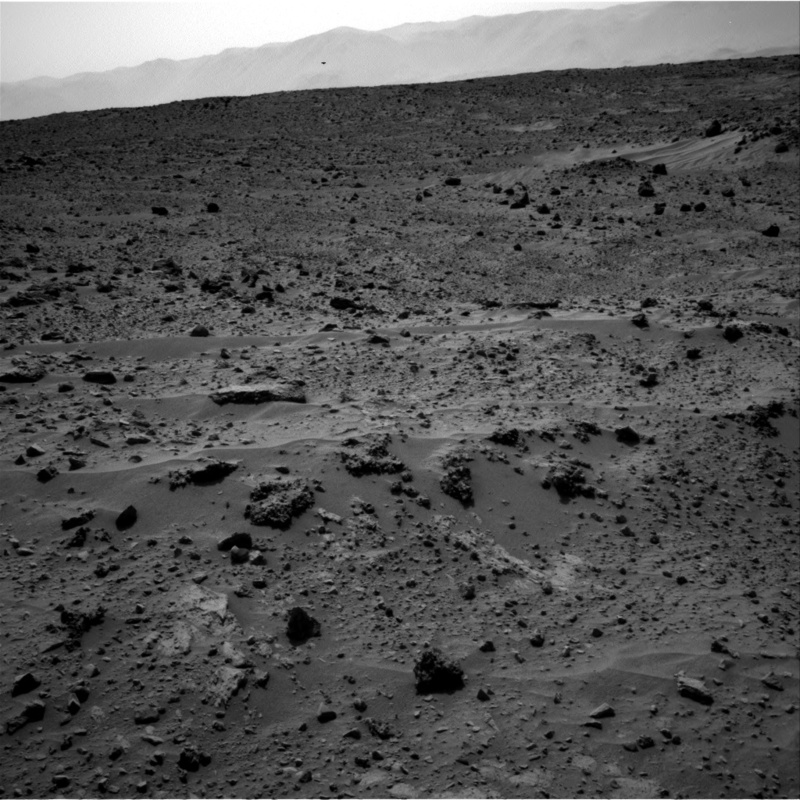 The black and white photos show strange UFO-like objects floating in the air not too far off the ground and are said to have originated from NASA’s car-sized Curiosity Rover, which launched from Cape Canaveral on November 26th, 2011 and landed in Mars’ “Gale Crater” on August 6th, 2012. This first photo shows a single object (UFO) hovering off the ground in the distance. Here is a close-up view of the object from the first photo. This second photo shows a number of dark objects (UFOs) in the sky (upper left corner). Here is a close-up view of the objects from the second photo. The UFO on the right appears to have the same shape as the one seen in the first photo.